While there has been much attention on light rail, the fact is that there are better alternatives that provide our communities with a better and more flexible infrastructure that can evolve to take advantage of new technology advances like autonomous vehicles, electric batteries, new business models and power distribution. to justify fairly expensive fixed-guideway transit investments. 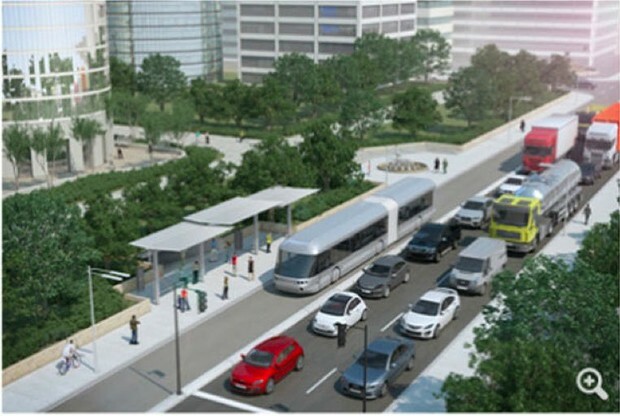 Bus Rapid Transit is a high quality, high capacity rapid transit system that, in many ways, improves upon traditional rail transit systems at a significantly lower cost. Vehicles travel in dedicated lanes, avoiding traffic. Passengers walk to comfortable stations, pay their fares in the station, and board through multiple doors just like a train. So this allows us to take advantage of all of the best attributes of LRT while providing additional flexibility of sharing with other wheel-based (not rail-based) systems and the ability to reconfigured routes to adjust to our changing population and commuting patterns. For example, allowing us to interlining other buses (potentially autonomous) along the dedicate guideway, and platooning automated vehicles within the same guideway. 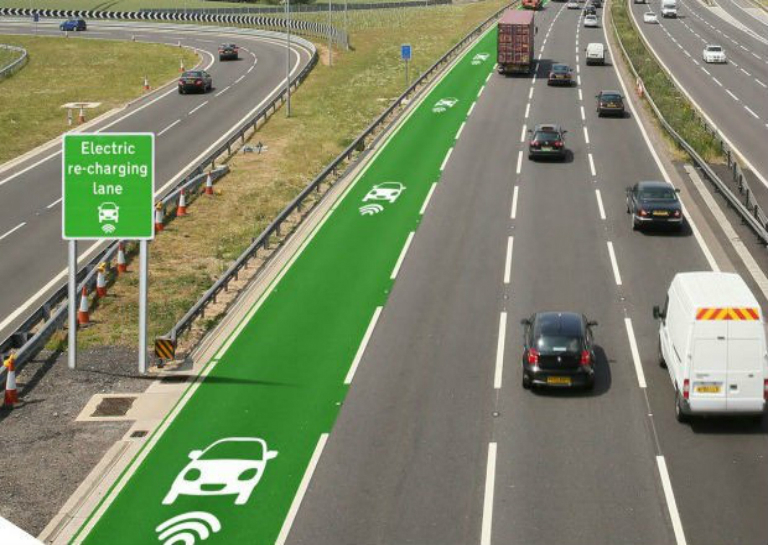 A sort of flexible smart vehicle HOV lane which can evolve as technology changes and adapt to changing traffic patterns. One of the major advantages of BRT over proposed DOLRT is that it is much more flexible and can be integrated into our overall transportation infrastructure. 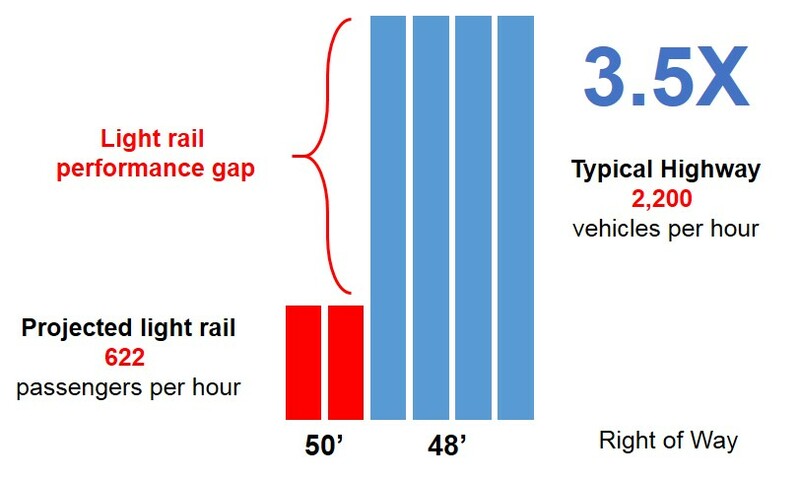 Think about all of the rail lines and how much space they consume (50 feet wide for LRT right of way vs 12′ for a highway lane or roughly equivalent to 4 lanes), and the majority of the time they are not being used. Sitting there, waiting for the next train to arrive. And only trains can use it, and cannot be shared with other vehicles. LRT also requires additional constraints (and expense) with limits on how steep the steel roads can be and require (exclusive) “overhead” electrification infrastructure to distribute the electricity (and losing 7% in distribution along the guideways) along the 17 miles. Wireless (induction) charging is already powering buses in Utah and Germany. Buses in Torino, Italy have used induction since 2003, and routes in Utrecht, the Netherlands got induction back in 2010. And Gumi, South Korea in 2013. Chapel Hill and Wake are looking at how to leverage BRT as a way to augment their current public transportation plans. But it’s equally likely, in many cases, that people have just used “trains” to mean “good transit” and “buses” to mean “bad transit.” If that’s the case, then marketing better buses as something like trains (or, at least, something other than buses) should weaken this automatic association. 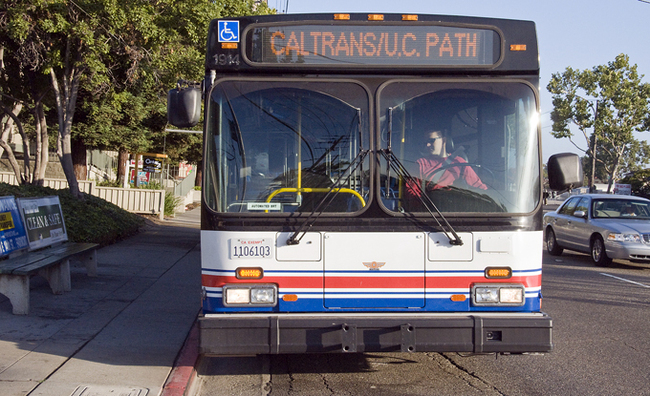 But such efforts will fall flat without meaningful investments in well-designed service: dedicated lanes, reliable peak and off-peak service, off-board fare payments, comfortable stations or enhanced shelters, or reconfigured routes, to start the list.